The troll is a much maligned mythical beast, evicted from its under-bridge home and goat-eating ways, and nominally condemned to fluorescent nostalgia as the mid-90s’ (or 60s, 70s, & 80s) fad for little plastic dolls with bright, frizzy hair. Now, however, these generational ephemera are making a fearsome comeback on the big screen courtesy of production behemoth Dreamworks. Thankfully, Norwegian director André Øvredal’s fun début monster movie rescues the troll myth, returning it to its beastly origins. 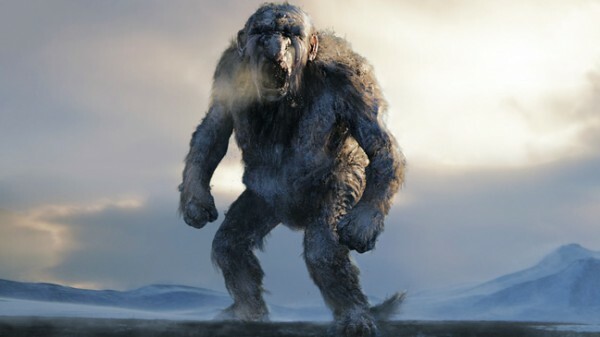 As Troll Hunter’s eponymous protagonist reassures us, these aren’t the cute trolls from the fairytales of our childhood. Set in present-day Norway, Troll Hunter follows three college students who set out to document a mysterious, nocturnal poacher named Hans for the purposes of a school film. After pursuing Hans against his wishes, he eventually acquiesces to their persistence and decides it’s about time he reveals all about his clandestine career as – you guessed it – a troll hunter. The opening title cards set the premise of anonymously received footage reassembled in the vein of other horror smash-hits like The Blair Witch Project or Cloverfield. Thankfully, Troll Hunter does not take itself as seriously as these other titles and the pretence is immediately dropped. Though director of photography Hallvard Bræin uses handheld camerawork to augment a documentary-realist style, the cinematography and general finish of the image, in contrast to what one might expect from a bunch of college students, is crisp and glossy and the night scenes are well lit, with the Norwegian wilderness appearing lush and green. The choice to reject the realism associated with grainy footage is a wise one as it would have jarred with the respectfully tongue-in-cheek updating of a traditional Norwegian myth and the deadpan performances of the cast that further contribute to Troll Hunter‘s immense charm. The film was improvised with a script merely to guide the action, and the older cast of Otto Jesperson (Hans) and Hans Morten Hansen (Hans’s amusingly bureaucratic boss), drawn from Norwegian TV comedy, anchor the droll tone of the film. Of the younger cast, Johanna Morck is particularly strong as laid back student sound-recordist, Johanna. Troll Hunter: "Crisp, glossy and well lit"
Much of the comedy springs from the ludicrous idiosyncrasies of conspiracy. Besides protecting the public from trolls that stray from their territory, Hans is also keeping the Norwegian populace ignorant of their very existence. A national grid engineer hasn’t given a thought to why there is an immense ring of electricity pylons that leads nowhere other than in a loop (an ingenious oversized electric fence for the gigantic trolls) and there is an hilarious sketch involving a group of Polish painters, a bureaucrat and an immigrant bear. Faithful to the classic tenets of the troll legends, Øvredal uses these particularly anachronistic peculiarities to great, teasingly comic effect; when, for example, Hans relents to the student’s prying camera lens, the first thing the troll hunter asks as a condition of them joining his hunt, is if any of them are Christians? Christians smell (to Trolls that is). Hans, however, is not too sure about Muslims. In terms of visual appearance, the trolls are convincingly repellent, and despite the low budget (the film came in at $3.5 million) the CGI stands up well, with a little help from the mockumentary-style shaky camera and the trolls’ nocturnal lifestyle. The switching between ‘natural’ and ‘night-vision’ in the night scenes adds an extra dimension to the hunter/hunted scenario, playing intelligently on notions of seeing and believing. The scares are relatively low-key but fun, and the trolls are akin to Jurassic Park’s Raptors and T-Rex, only uglier and possessed of considerably worse hygiene. Troll Hunter is released in UK cinemas on Friday 9 September via Momentum pictures, and is highly recommended. Contributor John McKnight can be followed on Twitter @johntydon. This entry was posted in Reviews and tagged André Øvredal, film, Horror, Justin Bieber, Norway, Troll Hunter, trolls on August 31, 2011 by John McKnight. I fancy seeing this. I wrote an article yesterday about the history and folklore of trolls.http://oddbitsoffolklore.wordpress.com/. Perhaps a new monster will put a little new life in cinema. We have overused vampires so very, very much. Thank you for that link. Interesting stuff.